← Day 18 Snowman in July? 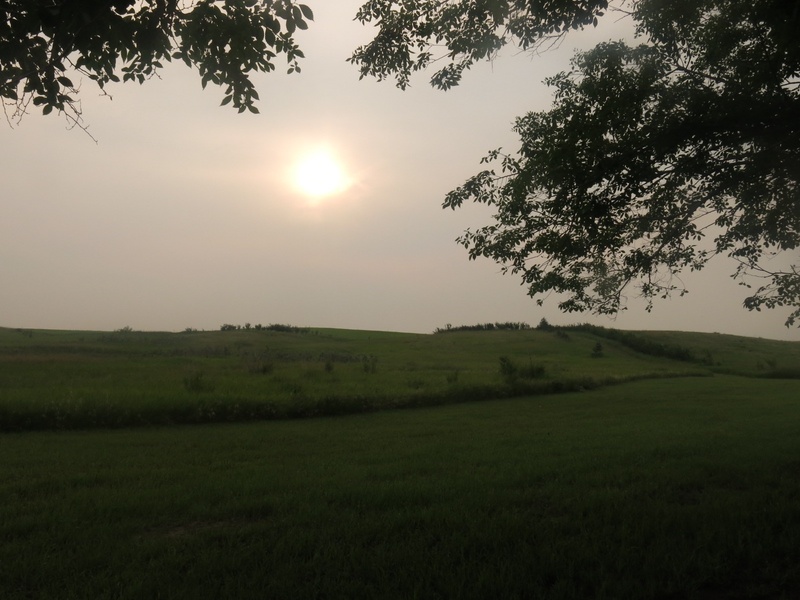 Our fifth day in a row of riding was a somewhat uneventful ride through the prairies. We were on the road by 7:30. The start of the ride was a steep gravel road out of the campground that was a bit of a challenge with narrow tires but we made it OK.
We stopped at a little cafe in Chamberlain for a coffee and a cinnamon bun. 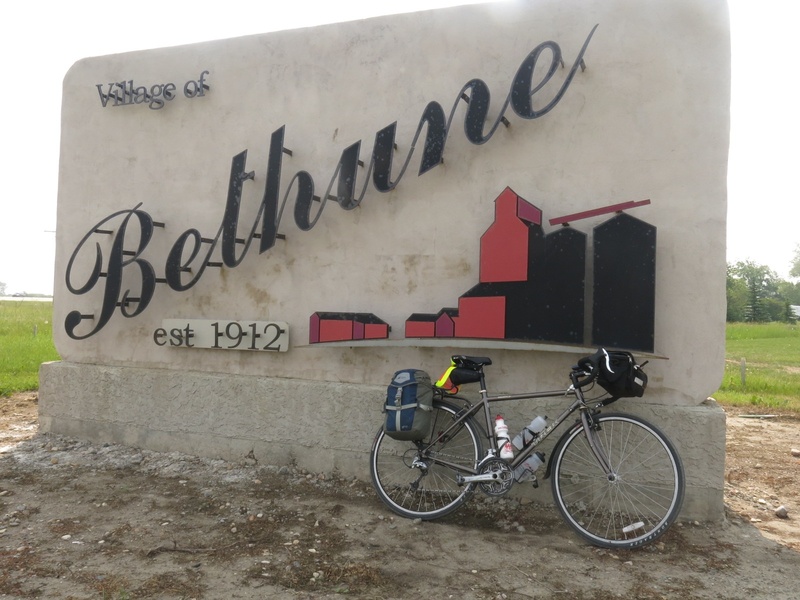 Further down the road we stopped at Bethune for my first sandwich. 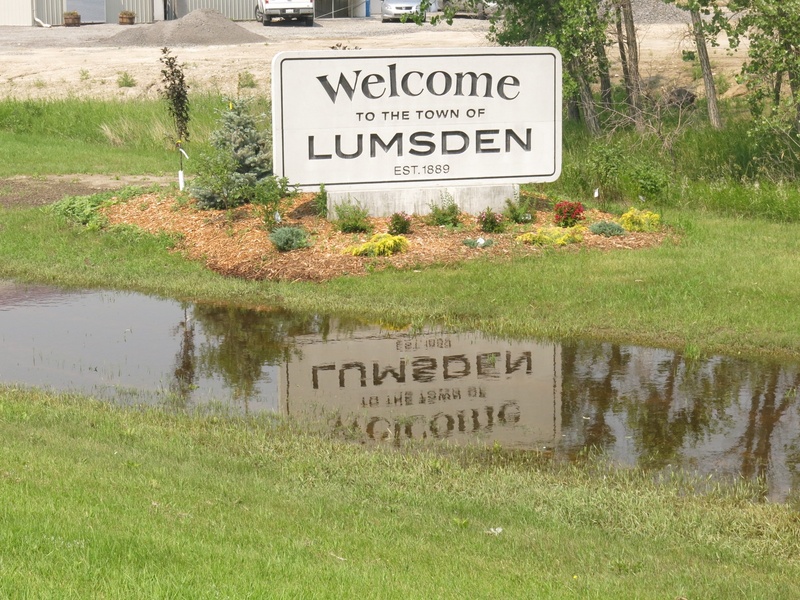 At Lumsden we rode a short distance into town to an Esso station/Subway where we bought chocolate milk to go with sandwich #2. Up to Chamberlain the shoulder had been narrow and rough. Fortunately the road was a four lane highway that wasn’t busy and traffic easily moved to the left to avoid us. Past Chamberlain the shoulder was in much better shape and from Lumsden to Regina it was wide and good pavement. 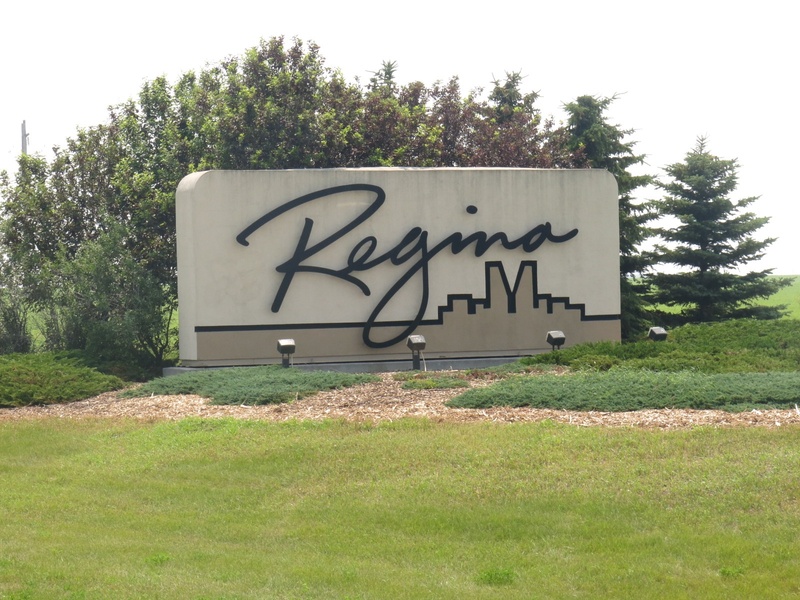 By the time we got to the campground in Regina it was getting quite hot. I took my time putting up my tent then relaxed a bit before going for a shower then doing laundry. The campground has Wifi but as I found out when I went to update my blog it was extremely slow. I eventually gave up although did complete one post by using one of the PC’s in the recreation area. Following a delicious tuna casserole dinner, 12 of us piled into two cabs and went to Brewster’s Brew Pub for a little refreshment.